If your long-term objectives call for an investment strategy that helps you accumulate assets over the long term, our Capital Appreciation Strategy is a good starting point for the core equity allocation of your customized total portfolio approach. 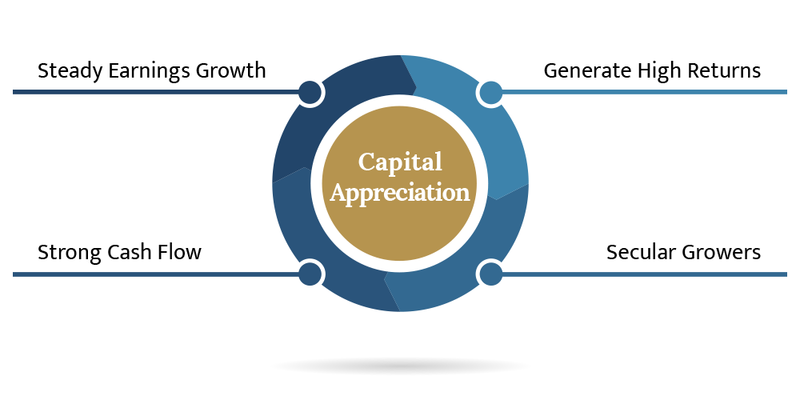 Capital Appreciation portfolios hold 30-40 diversified stocks that we believe offer growth potential at a reasonable price. We also take prudent risk relative to your goals and individual tolerance for volatility. If you’re looking for an experienced and independent investment advisor who’ll customize a common-sense investment strategy designed to meet your goals, contact us to arrange a consultation with Tim Vanech and Luis Raposo, CFA.